Emilio F. Moran is John A. Hannah Distinguished Professor at the Center for Global Change and Earth Observations, the Center for System Integration and Sustainability, and the Department of Geography at Michigan State University, USA. Until 2012, he was Distinguished Professor and the James H. Rudy Professor of Anthropology at Indiana University, USA. He is the author of ten books, fifteen edited volumes, and more than 190 journal articles and book chapters, which address human interaction with the environment under conditions of change. 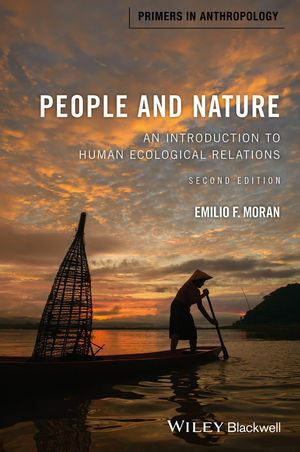 Most recently, he is the author of Environmental Social Science: Human-Environment Interactions and Sustainability(Wiley Blackwell, 2010). He is a Fellow of the Linnean Society of London, the American Anthropological Association, the Society for Applied Anthropology, and the American Association for the Advancement of Science. He was elected to the National Academy of Sciences in 2010.